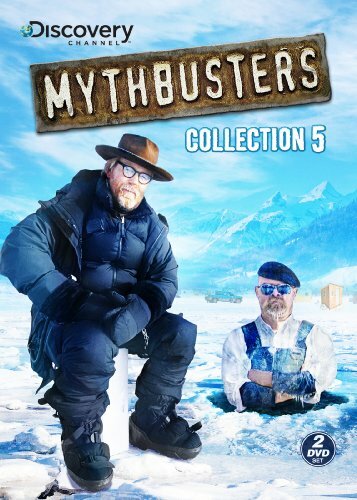 Hosted by Jamie Hyneman and Adam Savage, and build team members Tory Belleci, Kari Byron and Grant Imahara, the MYTHBUSTERS mix scientific method with gleeful curiosity and plain old-fashioned ingenuity to create their own signature style of explosive experimentation. The team s combined backgrounds in animatronics, robotics, model building and prototyping arm them with the ability to create anything they need to test a myth. Alaska Special -If left alone in the remote hills of Alaska, can you really go mad? Plus, Pick-Up Ice Plunge & Moose Mayhem. NASA Moon Landing-On this episode of Mythbusters, the Moon Landing Hoax Hour, the team tackles the tallest tale of all! Did NASA pull off the greatest cover-up in human history? Blind Driving -In Scent of a Woman, a blind Al Pacino takes the wheel of a Ferrari and cruises down the back streets of NYC; Adam and Jamie take turns in putting on the blindfold to try this out. But there's a twist!